The bottles are a good size to try out. They come with a brush tip like a nail polish. It's easy to dot this on the cheeks and then blended. 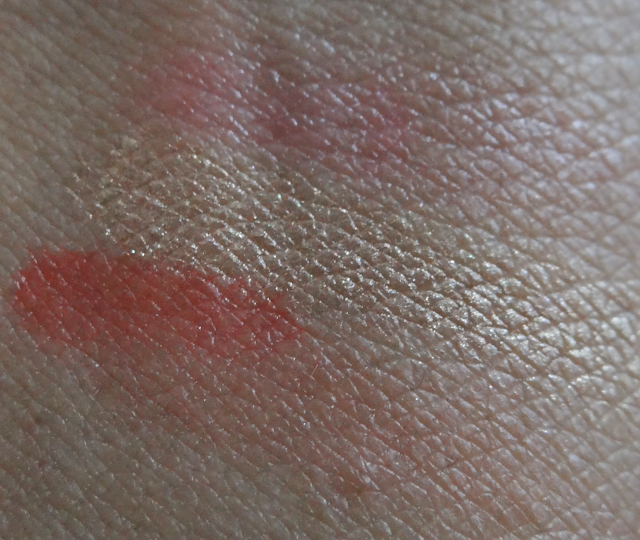 The swatches below are the top Cha Cha Tint, the middle is Sunbeam and the bottom is Posie Tint. Cha Cha is a poppy-pink as it's described it's a light colour. 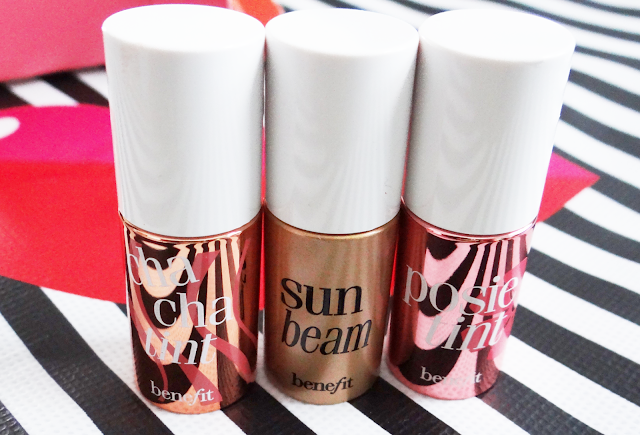 Sunbeam is a bronzey golden colour. Posie is a bright mango colour. When you blend these they're beautiful colours. 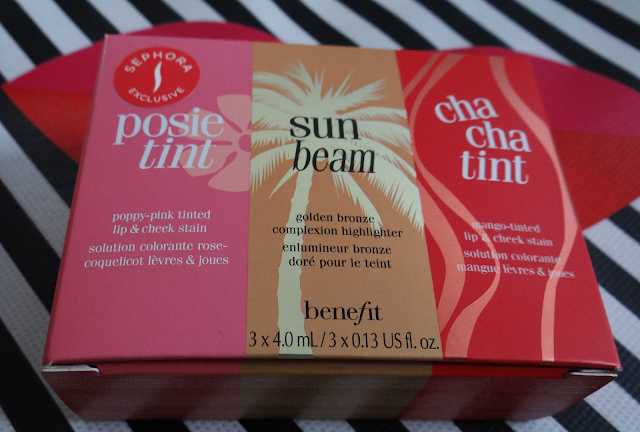 The Cha Cha Tint is a bit sheer but these are easy to build up to your desired amount of colour. Sunbeam has a gorgeous sheen its a nice highlight. 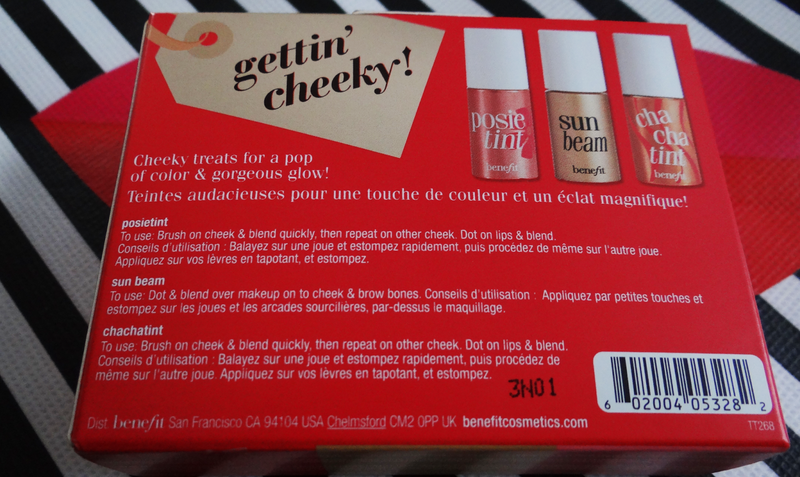 Posie Tint is my favourite of them all. 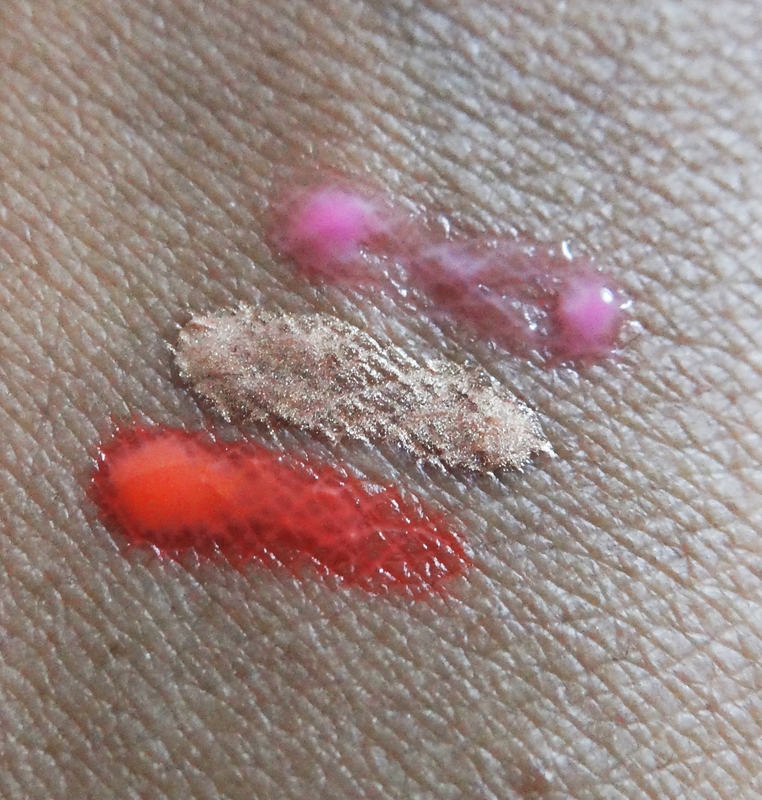 I love the colour and the pigmentation of it. This set is easy to travel with and can be easy for beginners to control how much colour they want. It would be a perfect stocking stuffer for Christmas! I love how you can try out all three of the products and there is quite a lot of product, a little goes a long way! This is a perfect gift for blush fans or beginners like your sis, xoxo. Yup I agree. It's also nice to travel with. They're small enough to not take that much space and have enough product to last long.